U-Reach, an industry-leading brand in data equipment with over 11 years of experience in product design and a strong market based roots. On June 3-7, 2014 at the COMPUTEK TAIPEI, we are excited to launch 10 new products this year. We sincerely welcome you all to visit us and share our passion focuses on advanced technology in data equipment where innovation is in our DNA. 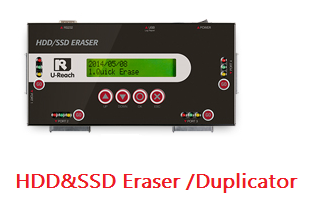 In response to recent demands for professional Flash duplicator on the market. 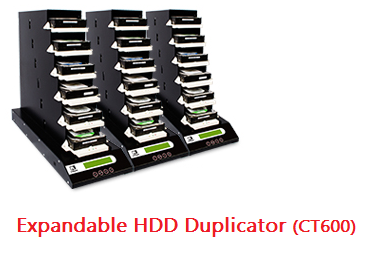 The newly release high-speed USB-HDDDuplicator is specially design for USB 3.0 and USB-HDD can support up to 2.5GB transfer speed per port per minutes. This model have been equipped with an EventLog report which capturing all task result, serial number, PID/VID for each media are clearly marked in details. Other product line up needs honorable mention, such as high-speed HDD duplicator, eMMC duplicator, HDD duplicator with an image management function, and SSD tester will all be demonstrated at the exhibition. We believe in the pursuit of excellence in everything we do and thank you for your support is the driving force to our continuous success. We cordially invite you to join us at the show!